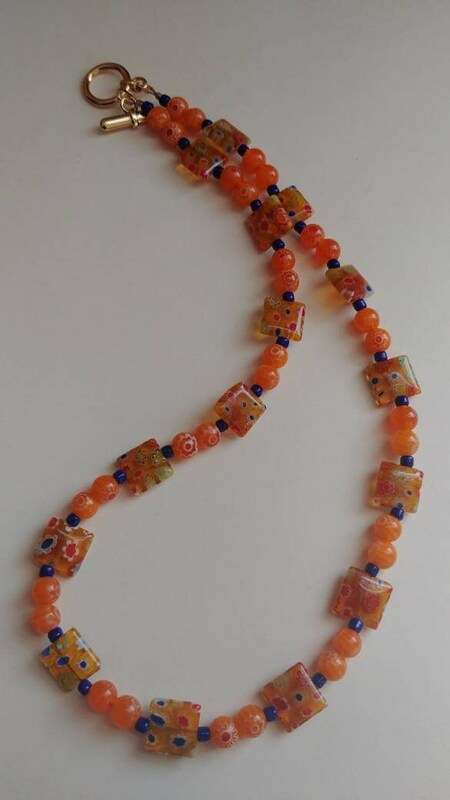 This is a unique glass bead necklace made out of Millefiori squares and rounds. 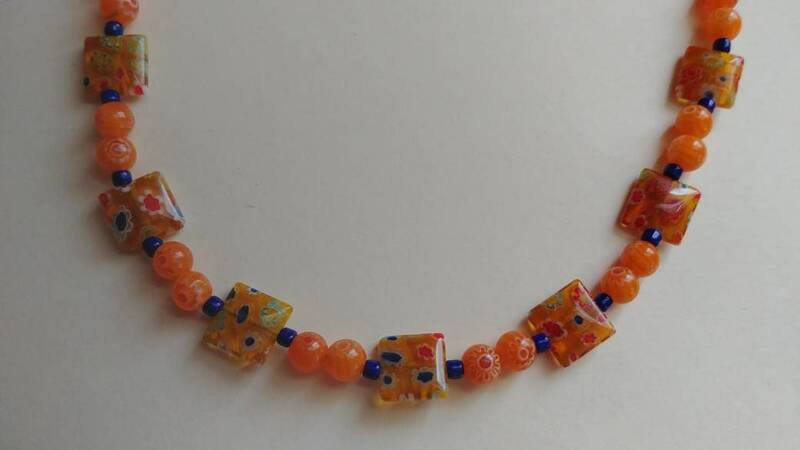 It consists of various shades of orange with little splashes of blue throughout. Seed beads are used for that beautiful contrast and to separate the Millefiori beads. A gold plated toggle clasp was used to make this easy to get on and off, especially because it is short and tighter around the neck. 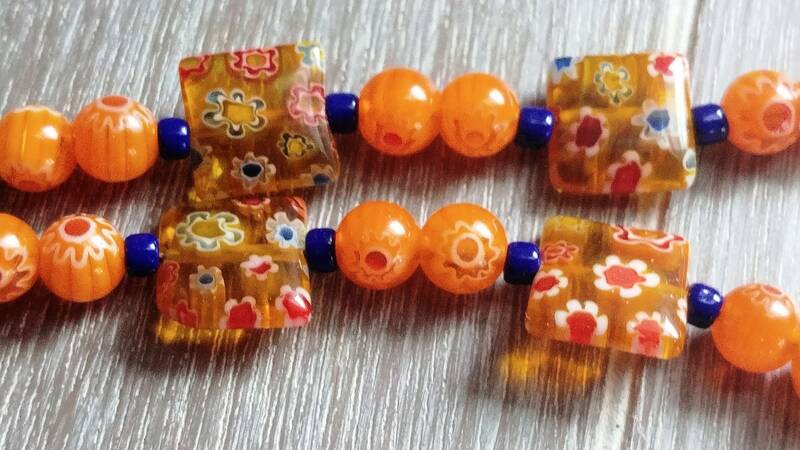 The square Millefiori beads are approximately 10mm. Please note: Each necklace will be different and each bead will be different due to its handmade nature. Exact sizes and colors will vary slightly. This design is an original by Michele of MichelesAManoDesigns.